Propulsion: Two gasoline engines, one shaft. 85k Photographed prior to World War I. 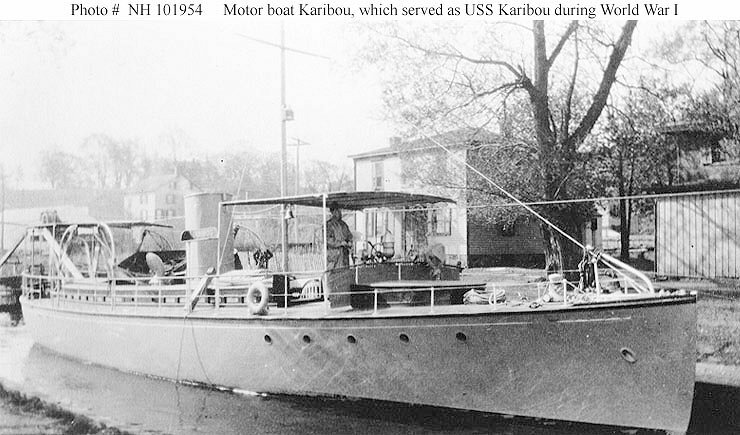 Dictionary of American Naval Fighting Ships: Karibou, a motor boat, was built by Salisbury Marine Construction Co., of Salisbury, Md., in 1911. 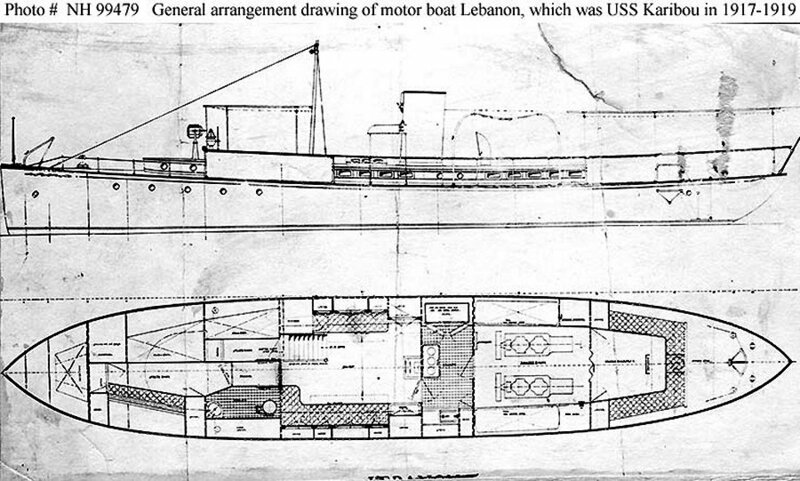 The Navy chartered her from her owner, Harwood Spencer, of Ashville, N.C., 17 May 1917; and she commissioned the following day, Boatswain Albert Miller, USNFR, in command. Assigned to the 5th Naval District at Norfolk, Karibou served as an armed guard patrol in the harbors of Norfolk and Newport News. She acted as a mail and dispatch boat along the lower reaches of the James and York Rivers and patrolled Atlantic coastal waters from Norfolk to Virginia beach. 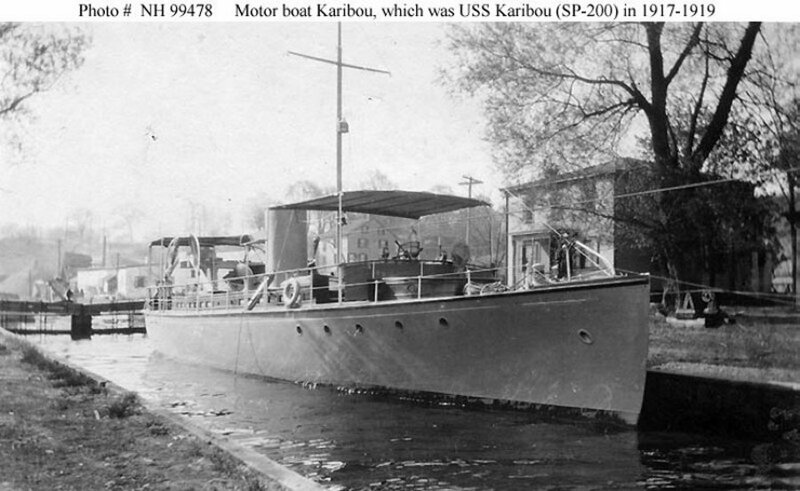 Karibou decommissioned 5 February 1919, and was returned to her former owner the same day.